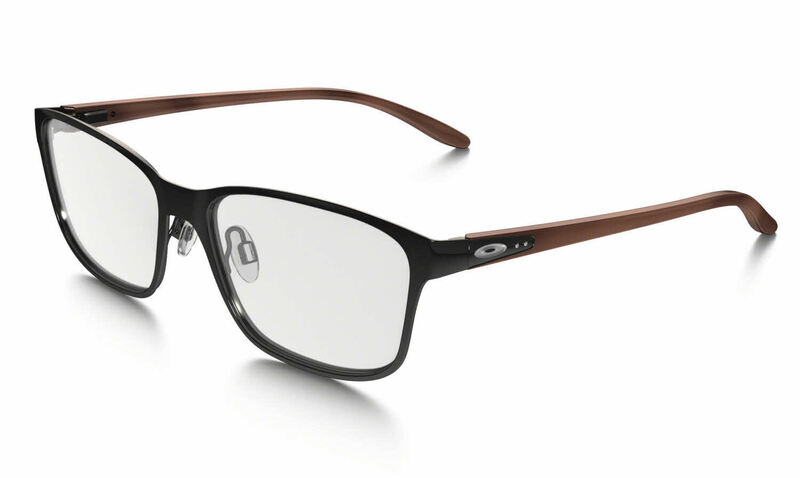 One of my favorite Oakley styles of glasses. The frames are just the perfect for my oval shaped face... smaller than the Oakley Validate style. I'm so in love with this pair of glasses that I bought another pair in a different color. Only bummer about these glasses, they don't have it in stock... they have to come from the manufacturers which means a longer waiting time. I had to wait for the color frame I chose but it was worth it. I am very happy with the sizing and the fit. I did have to slightly adjust the nosepieces (as I have had to do with every other pair of frames I have ever bought) but once that was done, I took right to them-no break-in required despite the lenses being progressive. I would definitely buy these frames again. I just received my new frames with the new prescription lens yesterday and so far, they are hurting the bridge of my nose pretty badly. I am going to see if I get used to it and maybe it won't hurt as bad. They are kind of heavy so I guess that's why they hurt. They are pretty to look at though!